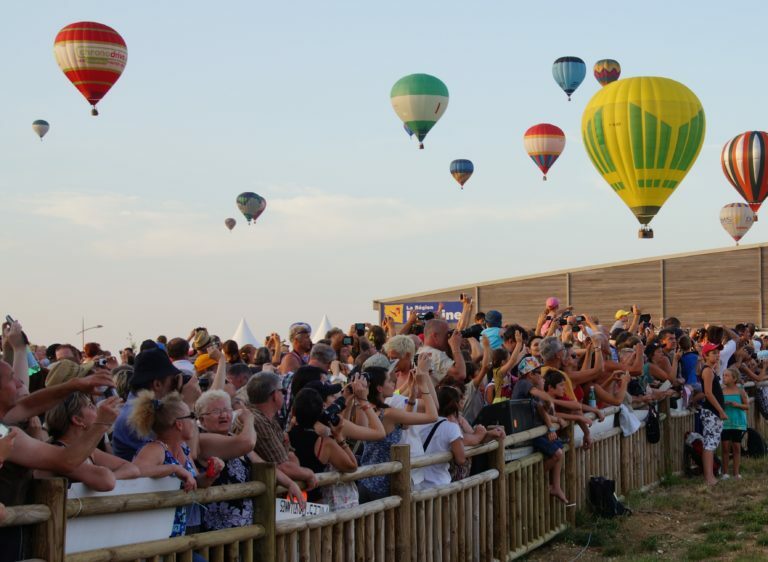 With the huge success in 2013, the Village of Sport comes back on the Balcony of “BallonVille Public”. For the 14th edition of LMAB®, this space dedicated to terrestrial sports is renewed in partnership with the Sports Direction of the Regional Council of Lorraine and C.R.O.S.L. (Regional Sports and Olympic Committee of Lorraine). Everyone could try the various disciplines and discover the sports practiced in Lorraine. There is something for all tastes and all ages: athletics, duathlon (running and cycling), climbing, roller skating and handball. Come exert yourself at #LMAB15! And do not forget that after the effort, the comfort with the magic flight in the evening, and the night-time (astronomy, “Night Line”, model balloons, etc. ).